Lately, it seems like there's been an increase in articles about the impact of tourism in the UK, and spoiler alert – most of it's not good news. Inconsiderate tourists are flooding popular destinations, trashing the countryside, and generally making life harder for both residents and responsible visitors. Tourism in the UK has surged in recent years (as it has throughout much of Europe) for a variety of reasons. The rise of British television has driven a greater interest in locations like Cornwall and rural Scotland. Shows like Outlander, Doc Martin, and Poldark have contributed to massive visitor increases in their stunningly beautiful, remote filming locations, but those same traits leave them ill-equipped to deal with hordes of people. Social media has also contributed. Places like the Isle of Skye and a number of Cotswold villages get heavily congested during summer months, overflowing with visitors in search of that picture perfect photo for their Facebook or Instagram account. China has also been a big part of the increase in British tourism. Part of it is just that more Chinese people than ever are traveling. Aside from that, though, the UK has implemented a new visa program for Chinese tourists. They recently created a new 2-year Chinese tourist visa that allows for multiple visits without the need to pay and apply again. In 2017, the number of Chinese tourists to the UK doubled over 2016. Having traveled around the UK pre-2017 and during 2017, I could definitely see a difference in some destinations. In Edinburgh, I noticed that many shops had hired Mandarin-speaking employees to help with the influx of tourists. Others had signs in their windows advertising their intent to hire Mandarin speakers. Crowds were thicker than I'd seen in the past, with far more Asian people than I'd seen previously – and one group of Chinese women even asked to take their picture with me, saying I looked like Claire from Outlander (I don't, but I'll take the compliment). After Brexit, the weakening of the pound also contributed to some of the increase in tourism. Almost instantly, everything in the UK became cheaper for visitors from many different countries (something we've greatly appreciated while booking recent trips). All those factors in combination mean one thing – the UK is more crowded with tourists than ever. When you bring in more people, you're bound to bring in more of the good AND more of the bad. While most UK tourists are responsible and welcome visitors, many destinations are reporting issues with garbage, antisocial behavior, and the general problems of enjoying life in an increasingly crowded place. Aside from those issues, some places just can't handle as many visitors as others. London, for example, is an incredibly large city with hundreds of tourist attractions and great transport links. It's well-equipped to handle many more visitors than it already does. Edinburgh, on the other hand, is a slightly smaller city with most of its big attractions in a few concentrated areas. When Edinburgh is crowded, you really notice it. Less urban destinations have it worse still. TripAdvisor reviews for the Isle of Skye feature complaints about traffic and overcrowding, and some beaches in Cornwall this summer were actually advising people to go elsewhere due to extreme overcrowding. I know this topic brings up a lot of anger and sadness for some people, especially those who haven't yet had the opportunity to visit the UK. For many of us, there are ancestral connections, and a trip to the UK can feel like an important personal pilgrimage. The idea that it might be too crowded to enjoy can be really frustrating. That said, it's not all bad news, and there are things you can do to both minimize your negative impact and maximize your own enjoyment. Leave everything better than when you arrived. Please and thank you are a great start. This next part is a bit delicate, though, and won't apply to everyone here. In fact, I'd guess it would only apply to a small minority of the people who read a site like this one. Basically, there's a certain American stereotype in many parts of the world. People often think we're loud, rude, poorly-dressed, and generally overbearing. If that's you, bear in mind that British people are, on average, a bit more reserved with strangers. You'll be better received if you recognize that and turn it down a notch or two. Venture off the beaten track. First off, let me be very clear. I'm a firm believer in traveling the way you most enjoy traveling. If that means whirlwind package tours that hit every major attraction for a nanosecond, I'm happy to recommend any of several places that specialize in those trips. If you prefer a guided luxury tour instead, I won't attempt to dissuade you or convince you the only correct way to do things is a self-planned trip. For your own sanity, though, you may wish to modify your itinerary to include some less popular UK destinations. I don't mean you should skip Cornwall or Edinburgh in favor of Grimsby, just that you might wish to add in a couple stops that are likely to be a little less crowded so you get a break in between the chaos. If I had the time and budget, I could literally spend YEARS soaking up all the UK has to offer. I'm not sure I've ever encountered a place quite so densely packed with history, culture, and natural beauty. Even without a car, there are tons of amazing day trips to small cities, market towns, and villages connected by the rail system. 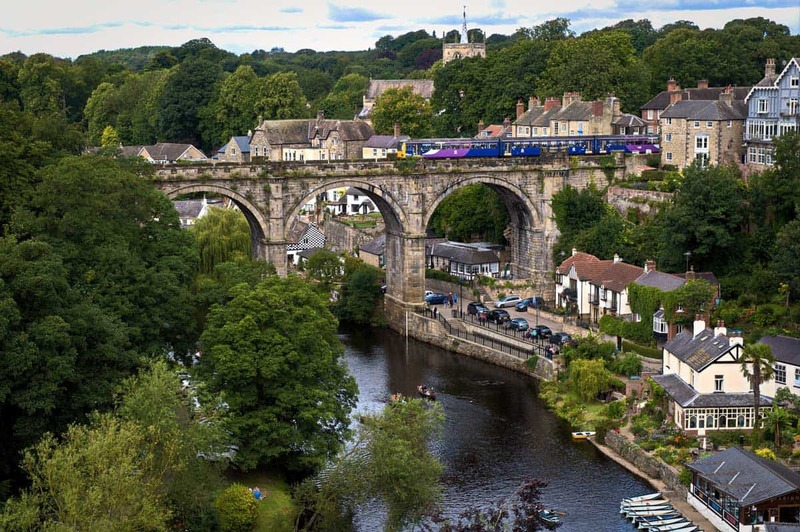 York is a wonderful small city break in between London and Edinburgh, and from York you could easily take side trips to Scarborough, Whitby, Skipton, Haworth, Knaresborough, and at least a dozen other great places. You can apply the same philosophy within cities. For example, if you're in London, you'll probably want to see things like Big Ben, Covent Garden, Trafalgar Square, Leadenhall Market, and the British Museum. I'd also recommend adding in some quirkier destinations like Highgate Cemetary, Pollock's Toy Museum, the Dennis Severs' House, or the Magic Circle Museum. Don't sacrifice the sites you've been dying to see – just prepare yourself for crowding in the top spots, and maybe mix in some less chaotic places if time permits. In general, things are most crowded during June, July, and August. 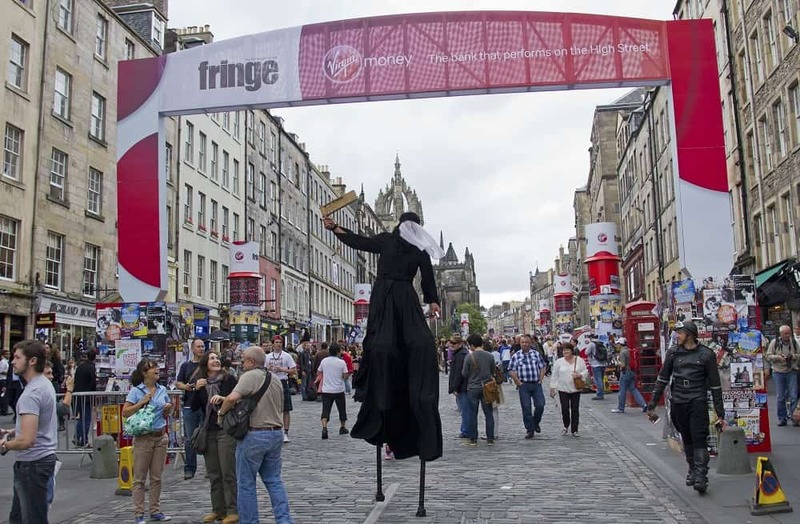 Edinburgh is particularly crazy in August because it's festival season. April/May and September/October can be great times to visit because the weather is still reasonably good, yet crowds are much smaller. If you plan to visit the Scottish Highlands, you'll also be pleased to know midges are much less plentiful during off-peak times. One caveat, though. Some attractions keep shorter hours during off-peak months. I've not had any issues with May or September, but always double-check before you go, particularly if you're headed to smaller or more remote destinations and attractions. Getting up early can help, too. If you want nice open shots of a city, you'll have the best luck shortly after sunrise. Not much is open then, of course, but it's great for photos and wandering. If there are certain attractions where overcrowding is a big concern, try to go right as they're opening. It's a trick that works almost everywhere. In some places, you'll find that crowds thin out after 5 or 6, too. While it's jam-packed during the afternoon, I found the Shambles completely empty during a couple evenings in York. Weekends are also a great time to steer clear of the more popular destinations, as hotel rates tend to be higher and attractions more crowded. I once made the mistake of changing my itinerary at the last minute to include one more (weekend) day in Edinburgh and I ended up sorely regretting it. Tours were sold out, I walked by more than a dozen restaurants turning people away, and sidewalks were so crowded you could scarcely walk along Princes Street. That was in September. I can't imagine if it had been August. It was my least enjoyable day in Edinburgh, yet I paid twice as much to be there in a hotel that wasn't nearly as nice as others I'd stayed in for much less. Don't get me wrong – every day in Edinburgh is a good day, but some are definitely better than others. Timing is also a big consideration if there are any hotels you'd really like to stay in. For example, we really wanted to incorporate a stay at Dalhousie Castle into one of our trips. By arranging to stay on a weekday, we saved more than 100 GBP. I'd recommend searching a site like Hotels.com in advance to see which of your destinations and preferred hotels are most sensitive to weekend vs weekday price fluctuation. Have You Experienced Overcrowding on Recent UK Trips? Have you personally experienced overcrowding on recent UK trips? Let us know when and where in the comments, along with any tips you have on avoiding the kind of issues you experienced.